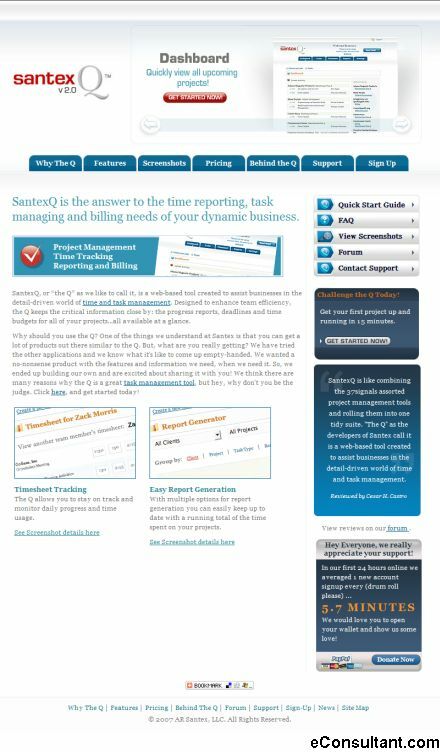 Description : SantexQ (or just the ‘Q’) is a web based tool created to assist businesses in the detail-driven world of time and task management. Designed to enhance team efficiency, the Q keeps the critical information close by: the progress reports, deadlines and time budgets for all of your projects. All available at a glance.